Have you got twins and wondered what it was like for other mums well here is a real life story which is has been written by Nichola who is a first time mother who recently gave birth to twins. I was in denial when I went into labour at 31 weeks. I had finished work two days earlier and was looking forward to sessions on the sofa with dvd box sets and plenty of biscuits. So when on one Friday evening I started having stomach cramps, I told myself it was Braxton Hicks. I spent the subsequent five days in and out of labour. Malachy and Caireann were born two minutes apart, on 12 November last year. 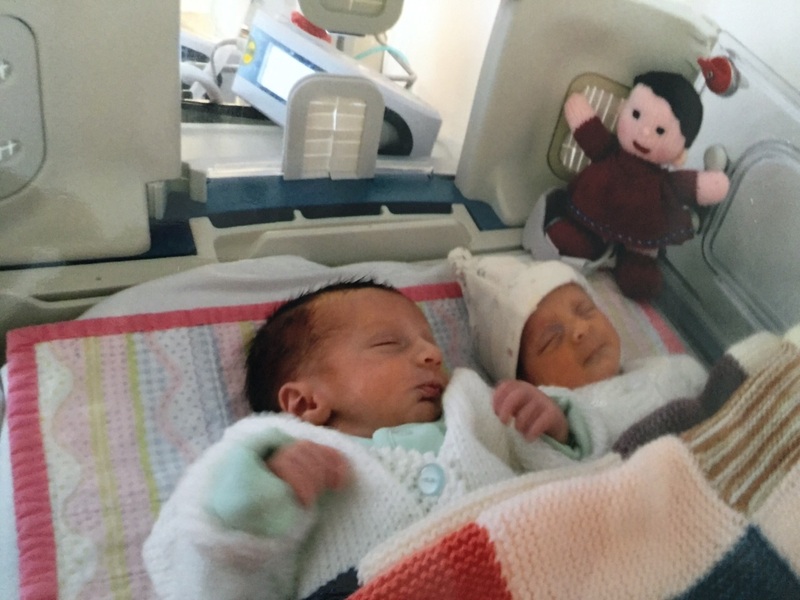 Being born so early meant the twins were whisked to the hospital’s special care unit not long after delivery. As soon as we could, we headed down there. Nothing could prepare me for what I saw. Even after everything I’d read, I didn’t remember seeing much about premature babies. I knew an early arrival was more likely with a twin pregnancy, but I thought it wouldn’t happen to me. When I first entered the ward, I was overwhelmed by the loud rhythmic beeps and alarm tones coming out of various machines. Beside those were incubators with babies inside. 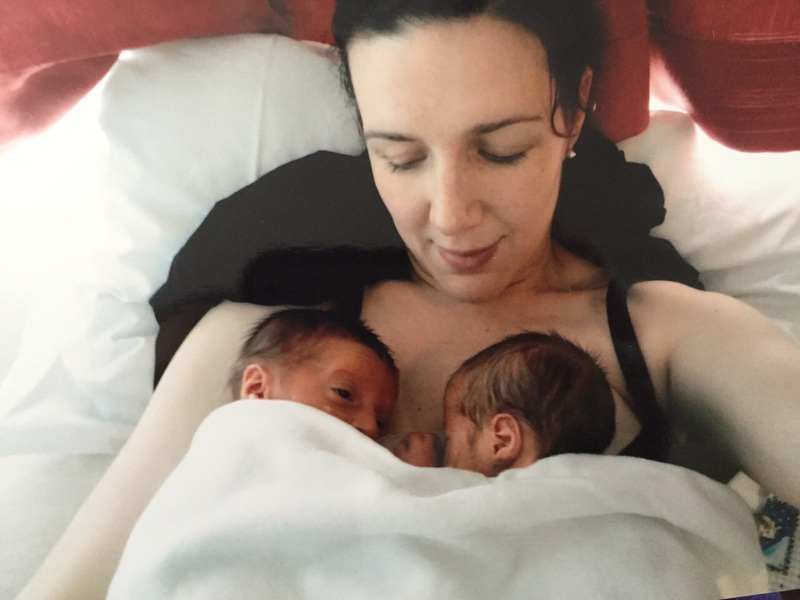 We were directed to our twins by one of the specialist nurses – usually it’s one nurse looking after a couple of babies. The nurse’s role is to take general care of the baby – feed them, medicate them and support the parents. When I saw my babies for the first time, I felt like I couldn’t breathe. The tears welled in my eyes. They were so tiny, so fragile. I have never felt so helpless. For seven months I had been supporting them and now someone else was in control. I was told they were likely to be there until they were the equivalent of 37 weeks’ gestation. The priority was to fatten them up: they weighed just four pounds when born, and they needed to be able to maintain their body temperatures. Inside their incubators it was tropical, around 30 degrees. The babies were stripped down to their nappies. The plan was to reduce the temperature and gradually add layers of clothing, so eventually they would be at room temperature with clothes on. The incubator had doors on each side so we could reach in and touch them, but I wanted to jump inside and curl up with them. Instead, I had to parent from afar. After a few days it was home time for me, but not for the babies. It felt very strange having entered the hospital with them to leave alone. There was a sense of relief at going, but the thought of my babies staying just didn’t feel right.I had heard that before special care babies leave hospital, parents can ‘room in’ and prepare for home time. I suggested to the senior nurse that I be allowed to do the same, but as a long-stay mother. Luckily it was agreed and the team prepared an empty room off the ward. A bed was put in there for me and the babies arrived in their incubators. I was over the moon. It meant I could finally be a mummy! The nurses helped me greatly – with administering medication, with feeding, even with cups of tea. I felt really well supported, particularly as my own mum died in my late teens. Initially the twins were tube fed. When they were ready to go on the breast, I fed them every three hours. Having roomed in I was able to establish a routine. Watching them suckle was truly magical and felt so natural. After a week or so though it was apparent the babies weren’t getting enough food as they wanted to be on the breast all the time. They also weren’t gaining any weight. So I started to do top- ups, which meant that after every feed I expressed and gave it to them via a bottle. Initially the extra work didn’t bother me. However, I soon found that one feed was rolling into the next and it was absolutely exhausting. The top-ups were tiring me out, the babies still weren’t getting the nutrition they needed and there was no weight gain. At the time, I just kept at it. All I could think about was doing the best for my babies. The schedule soon began to take its toll and I started to struggle. One of the nurses suggested I had a night off. My initial reaction was, ‘Is she mad?’. But after discussing it with my husband, it was obvious that I needed time out. It was during that break that I reflected on the situation. After much deliberation, I made the decision to switch to formula. No weight gain meant no going home, so it was simple. We never looked back because the days rolled into weeks and three weeks to the day we were finally told we could take our beautiful twins home.